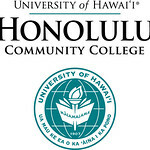 Do you know a Honolulu Community College Alum who has accomplished great things in his/her profession and the community? If so, consider submitting a nomination for Honolulu Community College’s Distinguished Alumni Awards. The selected nominees will be recognized at Honolulu Community College’s Celebrate! 2018 event, on February 22, 2018, at the Pōmaika‘i Ballrooms. Nominations are due on Friday, September 15, 2017 and tickets go on sale in November.